· How long have you been dying yarn? 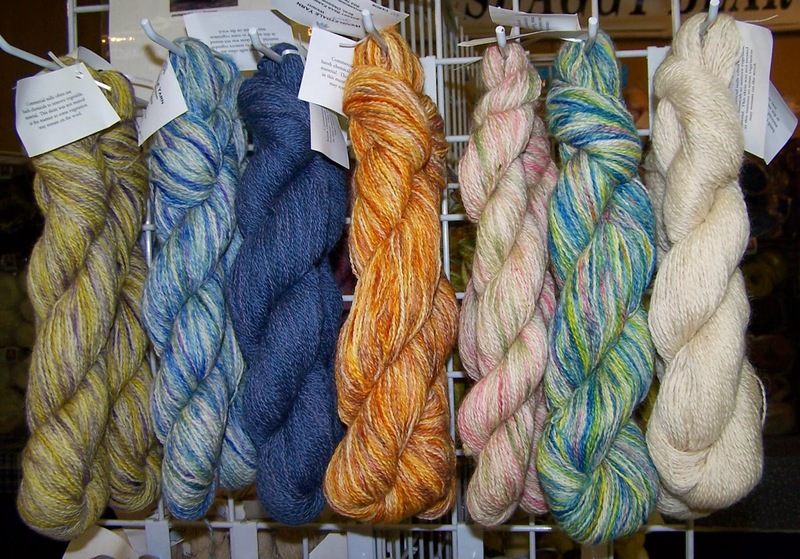 I have been dyeing yarn for about three or four years. · How did you get started dying? We moved to Oregon about ten years ago and started a “fiber farm.” We stared with a few Pygora goats, and a handful of Jacob sheep. Now our farm is home to more than 25 different breeds of fiber animals. · Do you have any special experience with art or science that influences your dying? The color choices used in my dye work come from the things I find on our farm. We have several breeds of rare breed chickens and their feathers contain amazing color combinations. I figure that Mother Nature will never lead you astray with a colorway. My yarn is special because it comes from the animals on our farm. Most of the time I can look at the yarn and tell you which sheep, goats, or alpacas provided the fiber for it. 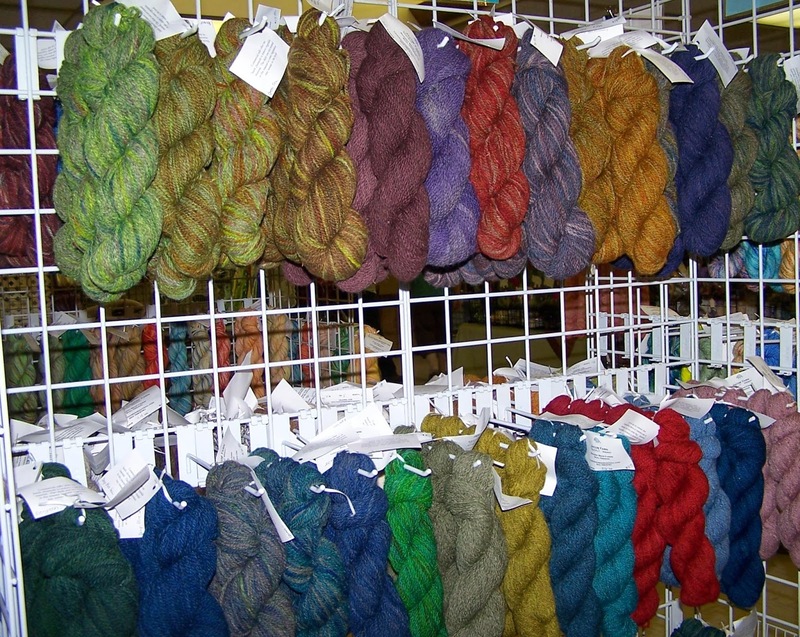 · What is something interesting about your dying process that non-dyers might not know? Many people have a fear of dyeing because they worry that they might make a mistake. Some of my most beautiful colorways have come from a boo-boo. And if you do make a mistake, usually you can dye it with another color or two and make a mistake into magic. If I had my way, every yarn would be natural colored or blue. It dawned on me one day that since I needed to dye yarn for customers who might like other colors besides blue, I needed to expand my color choice horizons. So now I look outside my window for inspiration in selecting my colors. I give my yarns names based on what the colorway reminds me off. Usually it will be the first descriptor that pops into my head. I do custom order dyeing frequently. I use yarns from the 25 different breeds we raise on our farm. · Where do your yarn bases come from? My yarns come from my own animals. I sell at a number of fiber fairs in Oregon, Washington, and California, as well as Northwest Wools in Portland, OR. People also contact me by phone or email (shaggybearfarms@yahoo.com). I ship regularly to customers all over the United States. I can do all three but none of them well. Knitting came first, then crocheting, and then spinning. Now I don’t have the time to do any of the three. · Anything else you would like to share? My sheep, goats, alpacas and llamas want to encourage your readers to try a new yarn today. Variety (in yarn and in most everything else) is the spice of life! A little preview of tomorrow's Cowl Pattern using Wendys' yarn!